We have been getting a lot of questions from investors related to FirstNet equipment and the potential impact on TowerCos, with most questions pertaining to the timing and revenue from amendment activity from FirstNet antenna modifications. 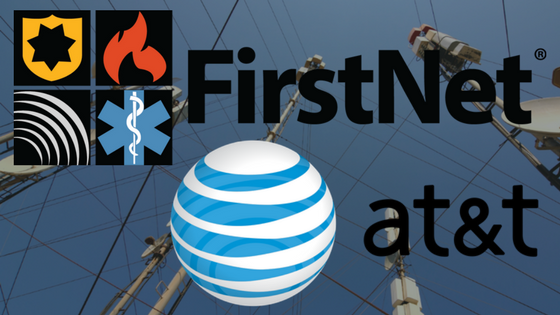 You may recall that in AT&T FirstNet Revisited, we reviewed the impact of AT&T winning the FirstNet RFP and the impact on TowerCos, Equipment OEMs, and FiberCos. We believe that investors may understand and appreciate AT&T’s one-truck roll concept for modifying existing cell sites, but we don’t believe that they understand how AT&T will “double dip” by using both FirstNet and CAF II funding to reduce Opex and Capex related to legacy wireline assets and to more effectively compete in rural areas with satellite broadband providers and even MSOs. As of 8/17/2017, 12 (editors note- it is now 15) states and the USVI have opted into FirstNet. Noticeably, many of the larger more populous states have not signed up yet, and AT&T needs additional State-level “wins” before declaring FirstNet a success. For a list of states, please see the chart at the end. The deadline for Opt-in/Opt-Out decision by states is the middle of December, so we see a key indicator of FirstNet activity being large-State adoption in late Q3 and Q4. To date, our checks continue to indicate that there has not been any substantive activity on the deployment front. Our private tower company checks are indicating that they have not entered into lease amendments for equipment modifications, and none of the public tower companies or OEMs are reporting guidance related to FirstNet as of yet. We did see our first AT&T modification request to a client for an existing macrocell which included FirstNet specific antennas and modifications. If you would like to know more about the size and capabilities of these antennas and the probable impact on public TowerCo leasing revenue, please reach out to your Detwiler salesperson. To encourage the build out of rural broadband, the FCC authorized grants to provide broadband services of at least 10 MB/s down and 1 MB/s up. In 2015, AT&T accepted a grant of $427M per year over six years to build out broadband services to 1.1M rural subscribers, approximately 70,000 of which are connected currently. AT&T indicated that it expected to use WCS (2.3GHz) spectrum to meet these requirements and that buildout would occur between now and 2020 in 18 total states. To see which states are part of the CAF II funding, please see the chart at the end of this note. Fixed wireless broadband for AT&T works by connecting to standard AT&T LTE base stations and antennas. A fixed antenna is professionally installed on the roof or the side of the residence or business being served. AT&T commits to providing 10MB/s to the end user, the bare minimum to meet CAF II funding requirements, although we anticipate that AT&T will adjust the throughput dynamically upwards if there is excess capacity at the subject cell site. Service runs $60/month and includes 160GB data bucket with additional 50GB blocks available for $10/month. We anticipate that AT&T carefully chose this amount of data in order to encourage purchase of DirecTV bundles. Fixed wireless plans are separate from mobile wireless plans. AT&T has consistently discussed the value of deploying FirstNet along with fallow AWS and WCS spectrum. They refer to this as a “one-truck roll”, meaning that they only have to visit each cell site to be modified once. This reduces amendment costs and time delays. Given the reliance on WCS spectrum for CAF II rural fixed wireless broadband, it makes a lot of sense for AT&T to focus on those areas where it expects to have to meet both CAF II requirements and FirstNet coverage requirements. Furthermore, to the extent that AT&T continues to effectively lobby state utility commissions to allow it to abandon landline service as fixed wireless takes over, AT&T benefits from reduced operating expenses from costly to maintain copper landlines. Previously, we indicated that TowerCos would benefit from the award and nothing has changed in that regards other than the delayed timing of guidance from the TowerCos related to FirstNet. As we start to see our first modifications, we see slightly larger antennas than we described in previous notes, which could support the higher end of the range on modification revenue. We anticipate that AT&T will focus on modifying existing sites as opposed to new collocations on public tower company towers so most of the opportunity for the public TowerCos will come from modification amendments. As we addressed in Rip-n-Replace- When Moving Off One Tower to Another Makes Sense (private note, if interested, please contact us), we expect that AT&T will utilize private build-to-suit companies for new site locations instead of collocating on existing public tower company towers, even if it means building a new tower next to an existing tower. One of the more regular questions we receive from clients focused on VSAT and SATS is regarding the impact of rural fixed wireless broadband and the scope of expansion by MNOs and other entities into those areas predominantly served by satellite broadband. Specifically, whether the economics are justified for MNOs to expand into rural areas. While the economics may not be sufficient based solely on providing broadband services, the calculation changes when the FCC or FirstNet starts to fund part of that buildout. At this point, we don’t know the total addressable market of current satellite only subscribers that would potentially churn to AT&T service. Stay tuned though as we are working on a bespoke research project looking specifically at the extent to which fixed terrestrial wireless could supplant the need for satellite broadband services. This report is for informational purposes only and should not be construed as investment advice. It is not a recommendation of, or an offer to sell or solicitation of an offer to buy, any particular security, instrument or investment product. Our research for this report is based on current information obtained from public sources that we consider reliable, but we do not represent that the research or the report is accurate or complete, and it should not be relied on as such. Opinions and estimates expressed herein constitute judgments as of the date appearing on the report and are subject to change without notice. Any reproduction or other distribution of this material in whole or in part without the prior written consent of Steel in the Air, Inc. is prohibited. Any projections, forecasts, and estimates contained in this report are necessarily speculative in nature and are based upon certain assumptions. No representations or warranties are made as to the accuracy of such forward-looking statements. It can be expected that some or all of such forward-looking assumptions will not materialize or will vary significantly from actual results. Steel in the Air, Inc. accepts no responsibility for any loss or damage suffered by any person or entity as a result of any such person or entity's reliance on the information presented. 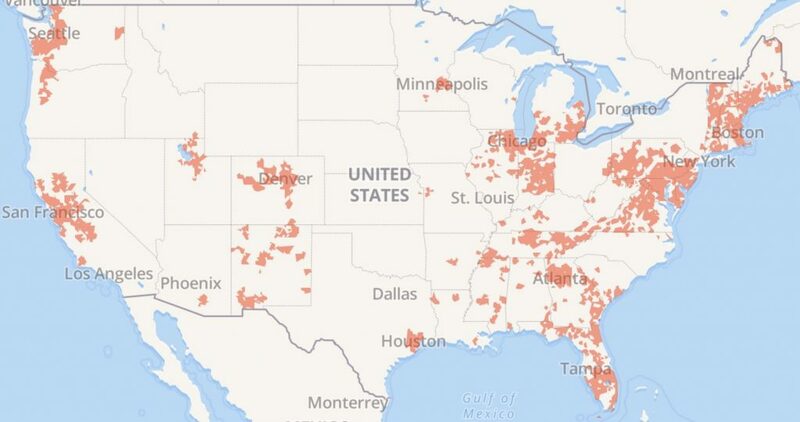 Comcast Wireless 2.0: This time it could actually work. Analysts have been speculating about the winners of the FCC spectrum auction and the implications of those wins for the better part of a year. With the auction coming to a close and an announcement expected in the coming weeks, we took a look at the implications of Comcast’s (Nasdaq: CMCSA) expected entry into the wireless market. On 4/6/2017, Comcast announced their Xfinity Wireless plans. Much has been written on the details of those plans so we will not rehash them here other than to say that Comcast doesn't appear to be building its own network and that the plans are primarily intended to prevent Comcast customers from churning to AT&T or Verizon. The FCC’s broadcast incentive auction was finalized on March 30, 2017. The FCC is expected to publicly announce the winning bidders sometime in the latter half of April. We expect that Comcast bid on and will win spectrum in the auction. CMCSA’s Q3 2016 cash flow statement, which was released publicly on Oct. 26, 2016, includes a $1.8B line item listed as a “deposit”; presumably an auction deposit by CMCSA to the FCC. Some analysts have suggested that CMCSA plans to acquire 30MHz of spectrum on a nationwide basis. We believe that the more likely scenario is that CMCSA will win at least 10MHz of 600MHz spectrum in areas where CMCSA already has fiber/coax infrastructure, as shown on the map below. Alternatively, if CMCSA does win nationwide licenses, we believe they will focus any buildout of equipment in just their current markets they serve now, at least until a compelling business case is developed otherwise. If we are correct and CMCSA wins spectrum in existing service areas, Comcast will use this spectrum to provide both mobile and fixed wireless services primarily to augment their cable services and reduce churn from wireless service providers’ forays into OTT video. We see their plans as an extension of the recently announced Xfinity Wireless strategy. We anticipate that CMCSA will utilize a combination of WIFI and unlicensed spectrum to provide indoor and outdoor coverage and capacity, while using 600 MHz licensed spectrum for wide area coverage. This will enable CMCSA to reduce payments to Verizon under their MVNO relationship and allow them to provide mobile video to customers without incurring per GB charges from Verizon which are reputed to be in the range of $7/GB. CMCSA’s product won’t attempt to compete with either Verizon or AT&T in terms of breadth of coverage. 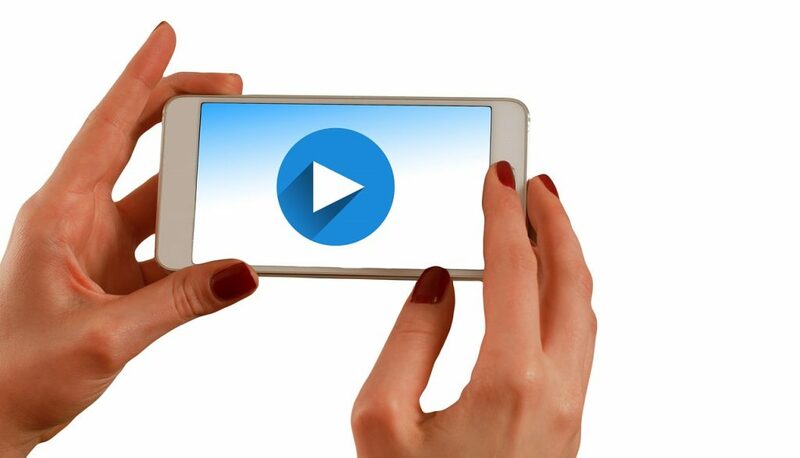 However, its product will be attractive to existing CMCSA cable subscribers who aren’t highly mobile and who don't require 20GB or more of data. CMCSA's Xfinity Wireless is set at a competitive price point, particularly to existing customers via a “quad” package. Companies like COMM, MTZ, and DY should benefit marginally from increased need for CMCSA fiber and coax to the premise to accommodate additional bandwidth (inside and outside the premise). However, near-term expectations should be tempered as broadcasters have up to 39 months to relinquish the spectrum. The impact on TowerCos should be muted for two reasons. First, broadcasters have up to 39 months to “repack” and return the spectrum to the winning bidders, so any tower lease revenue from CMCSA won’t materialize immediately. Secondly, we suspect CMCSA will attempt to control OPEX going forward by limiting the number of collocations on public tower company towers and by emphasizing small cells especially those that are attached on-strand to Comcast's existing fiber and coaxial cable runs in public right of ways. Ironically, if the Wireless Industry Association is successful in pushing the FCC to override local zoning oversight and fee structures for small cells, they could be enabling competitors to their own constituent wireless carrier and TowerCo members. Nevertheless, there could be a small bump to TowerCos once the FCC announces the auction winners and the winners include entities that don’t currently lease tower space. 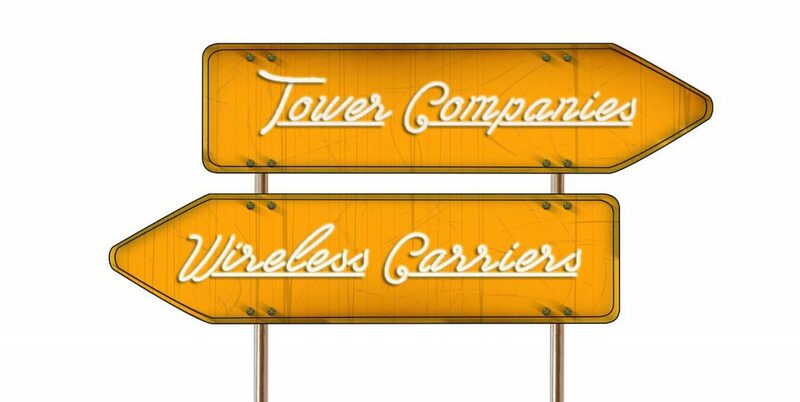 The possibility of another potential customer could increase investor interest in TowerCos. CMCSA’s near-term WiFi-First/MVNO-second wireless strategy could prove to be unsuccessful and/or discontinued, causing CMCSA to divest this spectrum prior to it being made available from the broadcasters.